In my previous post, “How to buy items in the US without a US credit card“, I posted how to use comGateway’s BuyForMe service. I tested their BuyForMe service so I could see exactly how it works from personal experience, and I felt that it is a pretty good service. Be careful of the domestic shipping hidden fees which is not very visible at first – You’ll need to note down in the “Other instructions” box that you want them not to purchase unless they can give you details on any extra costs such as domestic shipping charges. Repack your order – Only available if you request via email. Read more details about repacking your order with comGateway here. I originally felt that the process was transparent but there was one thing that managed to stump me, that is domestic shipping charges. 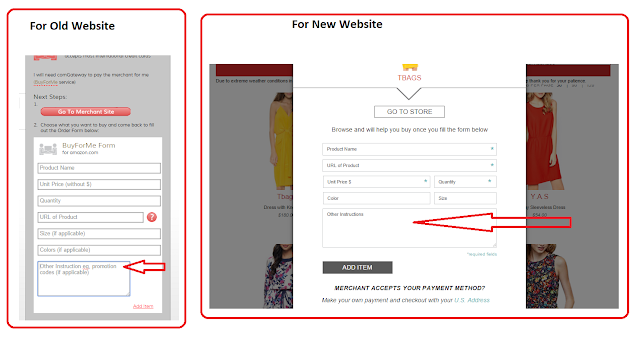 This did not appear in the Time and Cost Calculator (see example above) and also not during the BuyForMe purchasing steps. 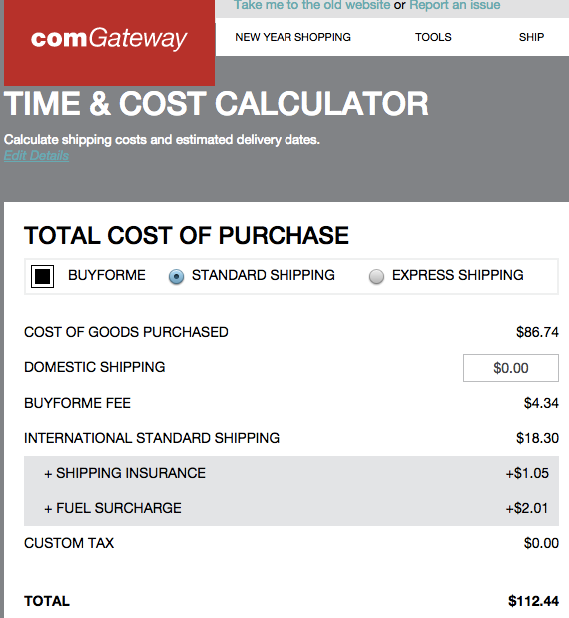 Seeing this gap, I sought out to reach out to the comGateway support team to understand where they may highlight this domestic shipping charge. As I felt that they should have made this charge even clearer before purchasing the item. That and well, for a big organisation such as comGateway, you’d expect them to have an Amazon Prime account to help speed up purchases for their customers (so free or very low cost shipping). But unfortunately they don’t seem to, so please factor this in if you do want to use this service. That said though, this is not a charge that they are taking in for themselves, this is a charge that the US online store they are purchasing from is charging them (and in turn, us). We recognize your stand in regard to your BuyForMe order’s Domestic shipping charge. We’ll be glad to explain this to you. For our BuyForMe orders, we are certainly being transparent with our customers specially when it comes to fees. As such, we have placed disclaimers on our BuyForMe form (Please see attached – below for you to see). Kindly be advised that the Domestic shipping charge was not included in your BuyForMe form fees breakdown as it is still yet to be confirmed with the online store until the order has been successfully placed. We hope we were able to clarify this with you. Should you have further questions, kindly contact us at [email protected], or through our LiveChat, Monday – Friday 7am to 6pm (GMT+8) for real-time assistance. Thank you for choosing comGateway! Thank you for your email. We will be glad to help you with your concern. You can check the online store (AMAZON.COM, EBAY.COM etc.) first to know how much Domestic Shipping Fee they will charge. When filling out a BuyForMe Form on our website, there is field that says “Other Instruction”. On that field, you can instruct us to notify you if there is a domestic fee, and what are available shipping options of the online store before placing the order. We hope you find this information helpful. Should you have further questions or concerns, please do not hesitate to contact us at [email protected], or through our LiveChat, Monday – Friday 7am to 6pm (GMT+8) for real-time assistance. We have attached the screen shot that indicates the “Other instruction” field. In regard to the disclaimer about the deliver cost, kindly be advised that it is reflected on the 2nd step of the BuyForMe process.